Looking for time to spend working “on” your association and not just “in” it? 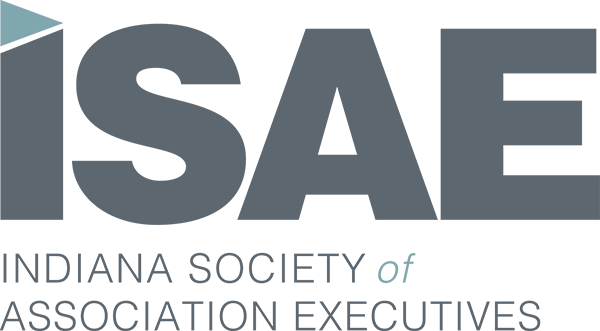 If so, you’ll want to be a part of ISAE’s 2019 Strategy Academy! Led by Mary Byers, CAE, author of Race for Relevance: 5 Radical Changes for Associations, this mastermind program is unlike any other you’ve attended. Sessions fly by due to the mix of laser-focused peer-to-peer sharing; guided reflection; high-level focus on strategy and process maps designed to be used when you’re back in the office. Invest four days in 2019 to learn new ways to lead, enabling you to do your best work on behalf of your association. Mary Byers, CAE is co-author of Race for Relevance: Five Radical Changes for Associations and Road to Relevance: 5 Strategies for Competitive Associations. She’s the former director of communications and member services for the Illinois State Dental Society and served in that capacity for nine years prior to starting her consulting business in 1998. Since then she has worked with hundreds of associations on leadership development, planning and strategy. Mary specializes in working with volunteer association leaders and chief staff executives to help define their roles and clarify their vision through leadership conference programming, facilitating strategic planning retreats and coaching. Executive Strategy Track – designed for the experienced Association Executive. Executives enrolled in this four-part track will connect, engage and learn from peers and industry experts. Each of the four days will balance with a half-day of facilitator-led training and a half-day of executing new concepts, models and ideas. Join us for this intimate program that will be capped at 25 association executives. Leadership Strategy Track – designed for the experienced Association Leader (3+ years in leadership role). Participants enrolled in this four-part track will further develop their careers as they connect, engage and learn from peers and industry leaders. Each of the four days will balance with a half-day of facilitator-led training and a half-day of executing new concepts, models and ideas. Join us for this intimate program that will be capped at 25 associations leaders. New Attendees: $500 ($700 for non-members). An additional participant from your organization may join for $450 ($650 for non-members). Returning Attendees: $450 ($650 for non-members). An additional participant from your organization may join for $450 ($650 for non-members), or $400 ($600 for non-members) if they are also a returning attendee. *Please note space is limited to one person per organization for each track (CEO/Executive and Leadership). If your organization in interested in registering more than one individual in a track, please contact ISAE. As a CAE Approved Provider of educational program related to the CAE exam content outline, each attended session of this program may be applied for 6 credit hours toward your CAE application or renewal professional development requirements.